Deciding to install a fence is an easy decision. If you have ever visited our blog before, you undoubtedly know the benefits of installing a fence around your home or business, whether it is a Chain Link, Custom Wood, Ornamental Steel, Ornamental Aluminum, or PVC Vinyl. Each fence has its own unique set of benefits. This is why choosing the Right Fence for your home or business is not always easy. You need to find the right fence for your specific needs. Step 1: Before you even start doing your research, check with your local homeowners associations. HOAs are notorious for prohibiting fence type and placement. If you are not part of an HOA, move on to step 2. Step 2: Ask the important questions. What is the primary reason I want a fence? How much does style matter? How much privacy will I need? Do I need a fence that will help with noise control? Do I need a fence that will protect my children or pets? These questions will help you narrow your search. Step 3: Now it is time to do your research. Take the time to research each type of fence, its advantages and disadvantages and the price to have it installed. 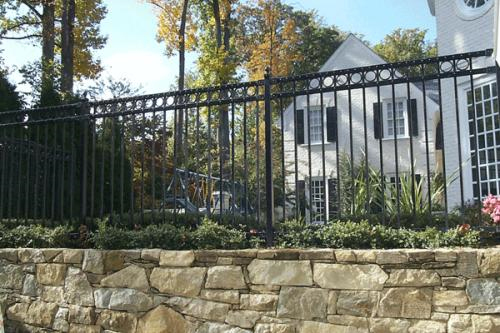 Hercules Fence of Northern Virginia is here to answer any questions you may have. If you have any questions about our blog, “How do I pick the Right Fence?” please contact Hercules Fence of Manassas, Virginia today by calling (703)551-2609 or visiting our website. Also, check out Hercules Fence of Manassas on Facebook,Twitter, Google+ and YouTube! This entry was posted on Friday, January 10th, 2014 at 2:55 pm. Both comments and pings are currently closed.